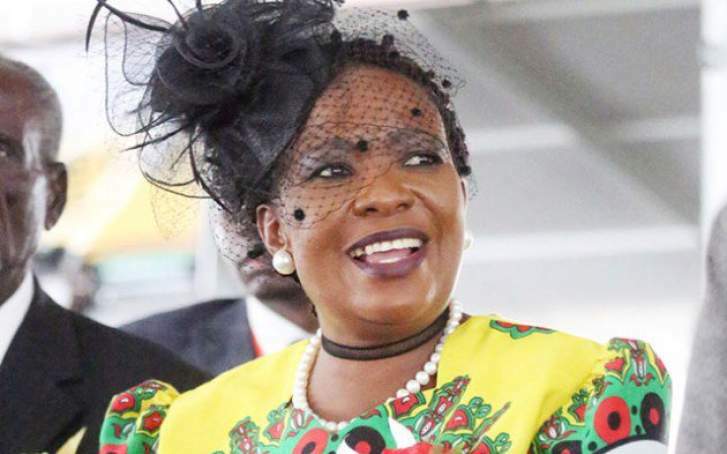 PATRON and Ambassador of the National Clean Up Campaign, the First Lady Amai Auxilia Mnangagwa is today expected to lead the clean-up campaign in Bulawayo. President Emmerson Mnangagwa launched the campaign last month where the first Friday of each month was set aside for cleaning countrywide. Briefing the media in Bulawayo yesterday, Tourism and Hospitality Industry Permanent Secretary Mr Munesu Munodawafa said this month's main event would be held in the city. "In line with the announcement made by His Excellency of the Republic of Zimbabwe on December 5, 2018 where he indicated that the first Friday every month is reserved for the national clean up campaign The first Friday of the year happens to be tomorrow (today) 4 January and in that respect we have mobilised the whole country to engage in the national clean up from 8 to 10 in the morning. The main event for the month of January will be in Bulawayo where the national patron for the clean up campaign, the First Lady, Amai Auxilia Mnangagwa will be leading from the front," said Mr Munodawafa. He said the main focus for Bulawayo will be the 5th Avenue market place, Mpilo Central Hospital and the long distance bus terminus popularly known as Erenkini. "So those would be the main centres for tomorrow's activity but that does not preclude activity in other areas. We are simply saying these are the areas that the First Lady may pass through and assist those that will be cleaning there. So the understanding is that there will be clean up activities going on elsewhere," he said. Mr Munodawafa said clean up campaigns will also be taking place in all parts of the country as provincial Ministers of State and provincial administrators have been mobilising in their provinces. "We are targeting not only the papers that are thrown on the floor but illegal dumpsites that are emerging. We saw what happened last year in the Glenview /Budiriro area where there was a cholera outbreak. We believe that should have never happened and we should never let it happen again," he said. Mr Munodawafa urged local authorities to increase and improve their capacity for solid waste management. "We cannot allow illegal dumpsites everywhere. Solid waste should be dumped at proper places and should be treated well. We also emphasise that the responsibility of cleaning remains that of councils. We are not replacing them. We are not taking away the responsibility from them and when people complement the responsibility we then expect you to pull up your socks and demonstrate what the people are paying their rates for," said Mr Munodawafa. Acting Bulawayo provincial administrator Mrs Fungai Nkunziwalela said Bulawayo was privileged to host the first clean-up campaign in 2019 led by its patron. "As Bulawayo we are honoured to be the first that is hosting the patron for the programme. We are ready for tomorrow. We have put in place all our groups and we are going to be cleaning at various places. "We are going to meet at Efusini Shopping Centre in Makokoba suburb where the First Lady is going to address the people that would have participated in the clean up campaign programme.